A North-East based start-up has launched a new video conferencing platform this month, following a six-figure investment. Venture capital firm Northstar Ventures invested £100k from the Finance for Business North East Proof of Concept Fund, alongside several Angel investors, to enable the company to bring its product to market. LyteSpark has developed a platform that provides flexible communications solutions to businesses. Alongside the group video chat function, the platform offers secure ‘rooms’ for businesses to conduct client meetings, screen sharing, and the ability to collaborate on Word, Excel and PowerPoint documents in real-time. The start-up has utilised the newly emerging WebRTC open standard, allowing them to combine the very latest video communication technology with a real-time interface, which can be customised and branded by individuals, as well as integrated into businesses’ own websites. WebRTC is an open source project that has been in collaborative development since 2011. It is designed to enable real time communication (RTC) applications to be developed for browsers, mobile platforms and “Internet of Things” devices, and allow them all to communicate via a common set of protocols. James Foster, Investment Manager at Northstar Ventures, said: “The team at LyteSpark has taken an emerging technology and used it to develop a simple, secure video conferencing platform which solves many of the problems businesses might experience with existing conference call tools. 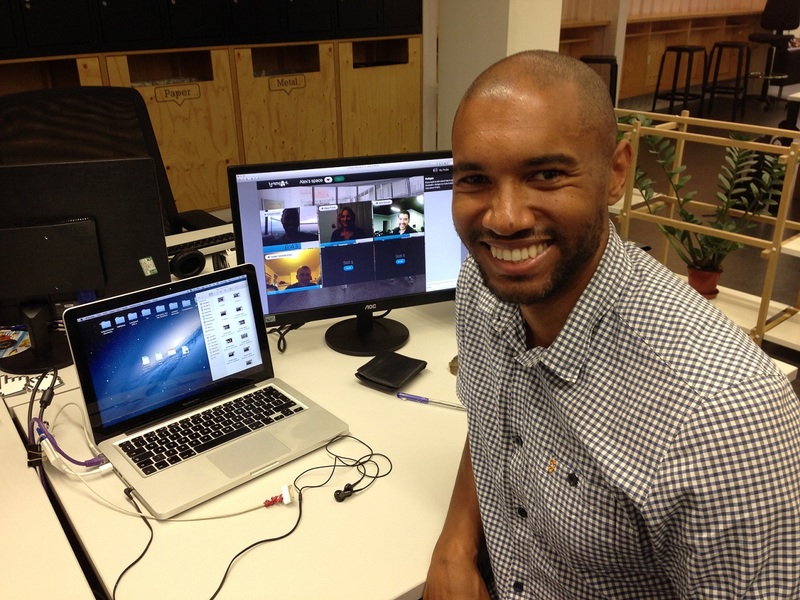 Alex Hunte, CEO of LyteSpark (pictured), said: “We are delighted to be part of the Northstar Ventures family. They have a great track record and are committed to helping businesses expand and support each other. That’s what LyteSpark is all about too. “Our belief is that small and medium sized enterprises should have access to the most powerful communications software available. There is a growing trend globally for companies to engage with remote working: taking advantage of these opportunities can transform growing enterprises. “With our platform, opportunities are no longer restricted by location. The most talented employees can connect from around the globe and work together as if they are in the same office.